Writing an app in Cordova 3.3 for iOS 7 and Android? This is the article for you. If you are the book-reading sort, you can also check out: Apache Cordova 3 Programming (Mobile Programming) . You can also read more here: http://iphonedevlog.wordpress.com/2013/12/19/using-phonegap-3-3-cli-on-mac-os-x-mavericks-to-build-ios-projects/. This will involved having the Node Package Manager on your system, if you are not geared up with Node, install it here: http://nodejs.org/. Note: The purpose of specifying the “com.YourCompany.yourapp” bit is important if you plan on actually signing and distributing your iOS application. 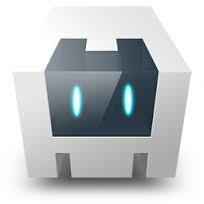 If your provisioning profile is built for a certain pre-fix then you will have difficulties signing your Cordova application for distribution. There, your path should now be updated. There are a few commands you ought to internalize before going further with Cordova. Note: Cordova automatically copies all of the web and config files in the root “www” folder into the folders for each platform (android / iOS). If you edit the files inside the /platform/ folder, you may be disappointed to see them overwritten when you build your project. Note: You may need to add additional customization to get these plugins working properly on a per platform basis. For splash screens, for example, you will need to provide a variety of image sizes and shapes in the containing folder directories. I strongly recommend using this tool to generate all your icons for all the various platforms:http://makeappicon.com/. Read the Cordova guide on image assets here. You will have to produce assets in a variety of sizes and form factors for both Android and iOS. I have not yet seen any generator for producing the launch screen and splash screen assets yet unfortunately. To build a debug signed APK for your Android app, navigate to platforms/android and run “ant build.” Make sure, before doing this, that you have run “cordova build” prior to doing so or your Android directory may not be up to date. Running “ant build” may also throw errors about your Android SDK if you have not corrected your Path variable as the above instructions document. Open your project file (platforms/ios) and build your XCode app for distribution as you would normally. It should be fairly straightforward.